Still using Turtle Car Wax; there really is better options! I get it....Turtle car wax has been around since the beginning of time. For many people, that is all it takes to gain what I call a false sense of security just because something has been around for decades. I also get how people have an natural aversion to change of any kind; including changing from an outdated product like Turtle wax car wax! But your ignorance of advances made in chemical engineering is keeping you from experiencing the best that modern day chemistry and manufacturing has to offer. And as a long term veteran professional detailer I can tell you from first hand experience; the industry is unrecognizable today than it was just a few years ago. Perhaps in your effort to make an informed decision, you are simply verifying from the wrong audience. But I am not here to convince you to make a change but simply let you know that far better options and choices exist that come from the real world of professional detailing, not from the world of mainstream individuals offering a review on a top rated car wax from their limited experience as a car owner, not a detailing professional. I am even going to provide a link for you so you can get and test out the Turtle car wax for yourself....after all, a can of this car wax is so very inexpensive. 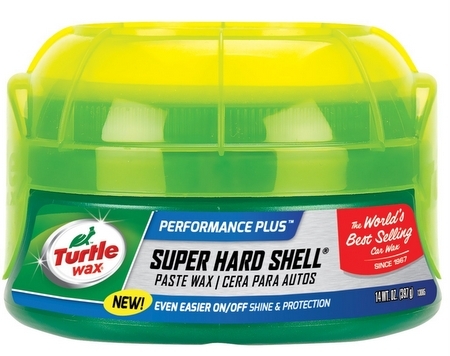 Turtle Wax T-222R Super Hard Shell Paste Wax - 14 oz. But as I said; I am not here to force my opinion onto anyone, but simply offer opinions based on decades of professional experience. If you happened to click on the link above to see the Turtle car wax in Amazon, you will have noticed that is has plenty of great reviews. But as I stated earlier, these are reviews from people with limited experience in car waxes at a professional level. And retail grade is far from professional grade. You may be familiar with this truism in your own line of work. As a rule, any retail product will have to be dumbed-down so manufacturers can avoid lawsuits from people operating in life on half a brain; this is not the case with professional grade products. "Do not underestimate the advances made in chemical engineering. Not only do modern day car waxes provide superior results, but a user experience that is second to none. 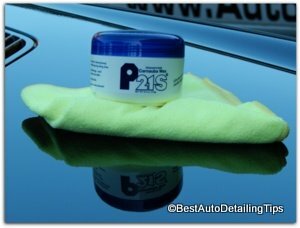 What good is finding the "best" car wax if the application and removal process is so miserable, the wax never makes it onto your car." After all, the ability to deliver exceptional results is one thing. The ability to deliver an incredibly user friendly experience entirely different. But the ability to deliver both excellent results and an excellent experience is truly the winning combination! Darren's Professional Tips: If you are ready to enjoy what I call the winning combination of both results and experience, then follow this link to Top Rated Car Waxes. If you simply want to keep things super-simple. Then go with the Turtle Car Wax!